​Former Manchester United midfielder Angel Di Maria is said to be angling for a return to the Premier League, once his Paris Saint-Germain contract expires next summer. Di Maria spent one season in the English top flight before bringing his time at Old Trafford to a close in order to seal a switch to the French capital. However, Di Maria is now considering leaving Paris at the end of his current deal next year, and it is understood that he is open to a return to England, but his wage demands are set to put a limit on his possible destinations. ​The Mirror claims that the Argentinian international is seeking a salary worth at least £200,000-per-week, a figure which clubs in the ​Premier League are capable of forking out. He will be free to initiate contact with foreign clubs in January over a potential free transfer before his contract expires at the end of June. Despite failing to make the grade at ​United - where he secured a return of four goals in 32 appearances - Di Maria's representatives have convinced him that a return to England is a valid option at this stage of his career and have already started to feel out potential clubs. The 30-year-old has attracted interest from the likes of ​Juventus and ​Barcelona throughout his four-year spell at PSG, where he has amassed 56 goals over the course of his 147-game career at Parc de Princes to date. 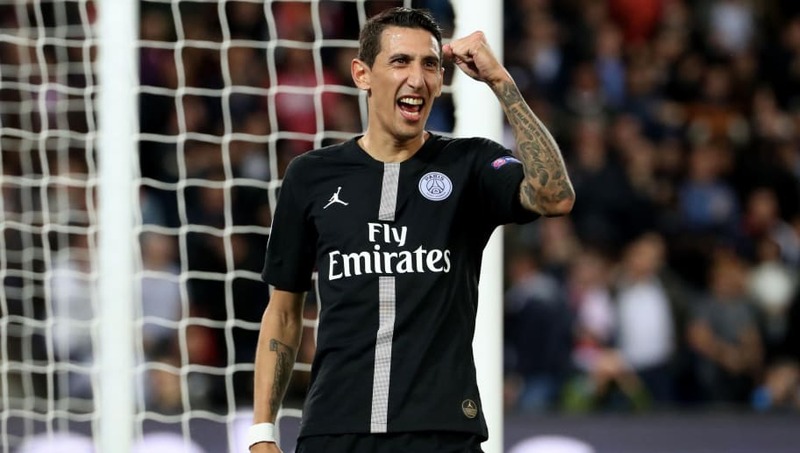 Di Maria remains an integral part of PSG's team, having featured in every game to date this season, contributing six goals and three assists so far.